Couteau Delta Tactical Display Team annunces its suspension for 2019. On November 27, the French acrobatic duo Couteau Delta announced on its facebook page that the Team will not perform during the acrobatic season 2019. According to the Team, the involvement of the French Air Force in the Chammal and Barkhane operations has created a staff shortage that can not be absorbed. 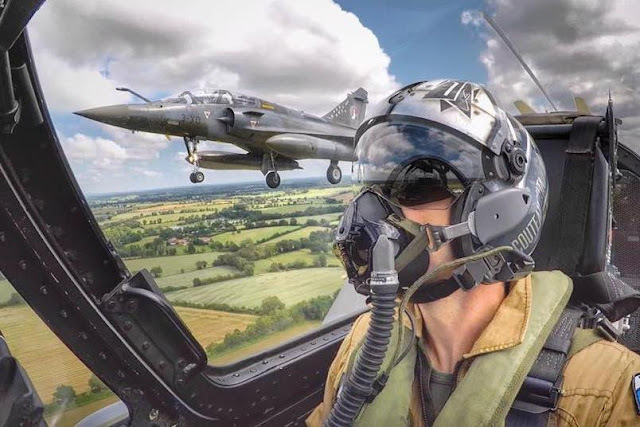 The Mirage 2000D fleet is in the focus of the Air Force because it has the important task of defending France and its interests by participating in international operations and training young military pilots. The team has specified that this is just a suspension waiting to find more staff, it hopes to be reborn in 2020. It invites all fans to continue to provide support through the Couteau Delta's social networks. The Couteau Delta was born 2 years ago to replace the previous Ramex Delta tactical display team composed of two Mirage 2000N jets. During the last two aerobatic seasons it has performed in major national and international airshow.